More myths surfaced with the sinking of the Titanic than were poor souls lost with the ill-fated liner. Digital history has fuelled an explosion of interest – with a lot more source material available to examine online.Titanic is the focus of a huge regeneration project in Belfast and this site created by National Museums Northern Ireland is quite superb. Alas no basis in fact – I discuss this further here in the Scottish Review. Newspapers offices around the world were thrown into complete chaos on the night of the April 14, 1912. 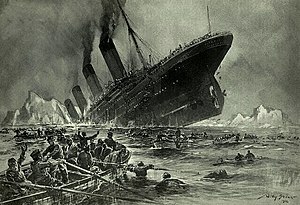 To think of the sinking of the unsinkable was, frankly, unthinkable. Only four days earlier they had reported in enraptured terms the start the maiden voyage of the world’s “safest” liner. Among those drowned was WT Stead, the great pioneer of campaigning journalism and the source of another myth that he might have foretold the disaster in a book. The Aberdeen Journal’s editor William Maxwell would certainly have known of Stead – they had both previously worked on the Pall Mall Gazette and the Evening Standard. Whilst national titles with due deference to the prevailing social order reported at length on the 11 millionaires who perished, it was local papers around the world who unearthed the pathetic tragedies among the 750 third class passengers, 572 of whom were drowned. All ten were drowned – with all their hopes and dreams. The Journal also had an important local story of international interest. 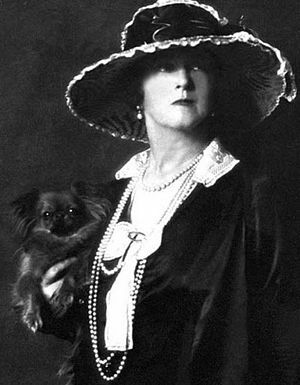 Among the survivors were Sir Cosmo and Lady Duff Gordon, of Maryculter, on the outskirts of Aberdeen. Oops …. and now another myth is born. Walter Lord, the editor and copywriter whose great historical narrative A Night to Remember revived interest in the Titanic and spawned several films, saw it quite differently. The Duff Gordons and their secretary occupied three sets out of 12 in the Number One Lifeboat which had a capacity for 40. Sir Cosmo, an Olympic silver medal winning athlete, offered crew members in the lifeboat £5 each for the kit they had lost with the ship and his wife reassembled the men in lifejackets for a group picture afterwards. Their behaviour was certainly not in the best possible taste and they had a hard time living it down afterwards. Greg Ward, author of Rough Guide to the Titanic considers, looks at this in more detail in a two-part Blogtanic post here. One thing’s for sure – the Titanic will continue to fascinate for another 100 years.